Have a ferris wheel at your next event! 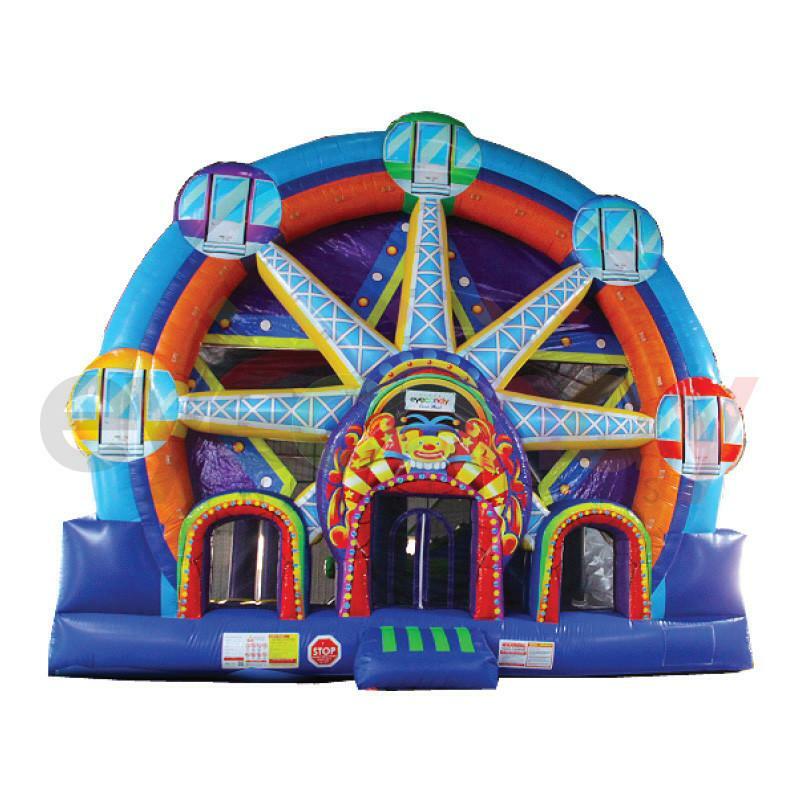 Description: Once again we are one of the first in the area to give you the option to bring this new inflatable ferris wheel inflatable combo to your next event. Kids will love the ferris wheel design as well as the slide, climb up, and jumping areas inside. This inflatable ferris wheel is perfect for all those carnival and fair themed events. This inflatable also has a basketball hoop inside and has netting all around that allows for kids to be supervised from the outside.